The Republic of the Maldives is an archipelagic nation in the Indian Ocean southwest of Sri Lanka and India that is renowned for its beautiful beaches, crystal clear blue lagoons, and extensive, colorful reefs. 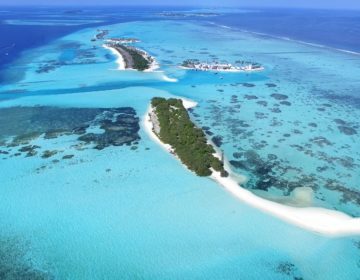 The ocean-bound South Asian Island nation is comprised of 26 ring-shaped atolls consisting of dual island chains, which are made up of around 1,190 islands and sandbanks. Stretching from Ihavandhippolhu Atoll in the north to the Addu City in the south, these atolls comprise a territory of roughly 115 square miles, making the Maldives one of the world’s most geographically dispersed countries. Home to approximately 444,259 inhabitants, the Maldives is ranked as the 174th most populated country in the world, with a quarter of the population living in the capital city of Malé, making it one of the most densely populated cities on the planet. 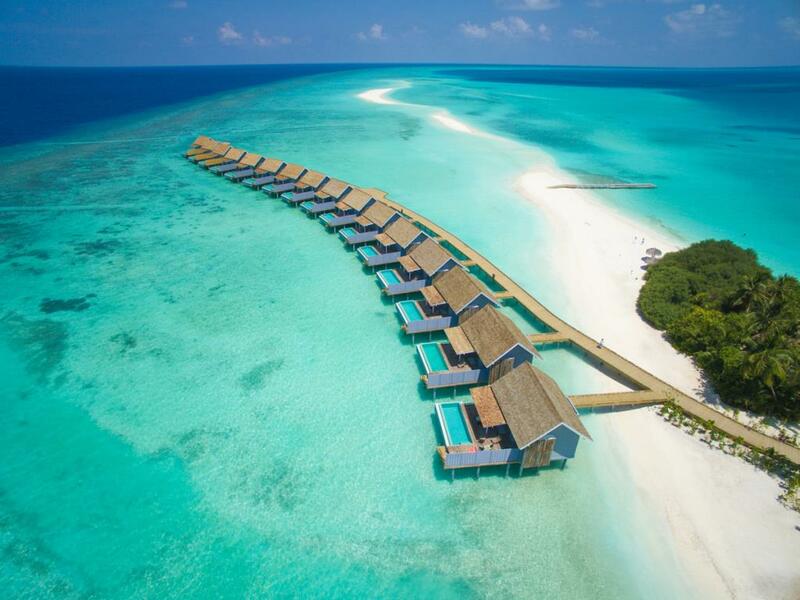 The Maldives is comprised of 1,192 coral islands that form a double chain of 26 atolls running in a north-south direction and spanning roughly 35,000 square miles. The atolls are made up of live coral reefs and sandbanks that rest on top of a vast submarine mountain range in the Indian Ocean known as the Chagos-Laccadive Ridge that runs from north to south for 600 miles. 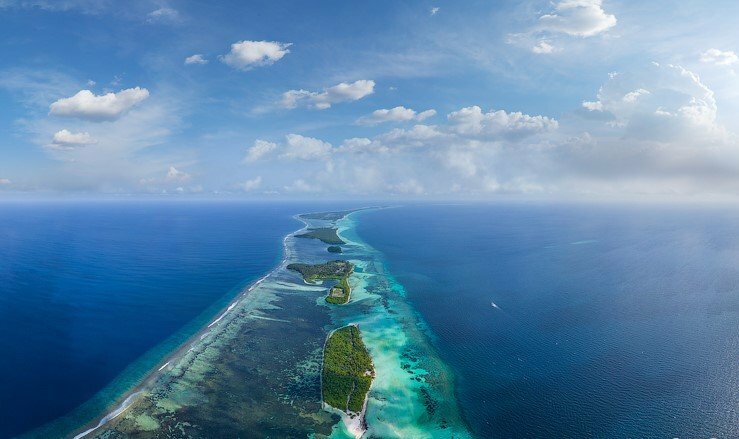 Rising from the depths of the Indian Ocean, the vast Chagos-Laccadive Ridge forms a terrestrial ecoregion together with the Lakshadweep. 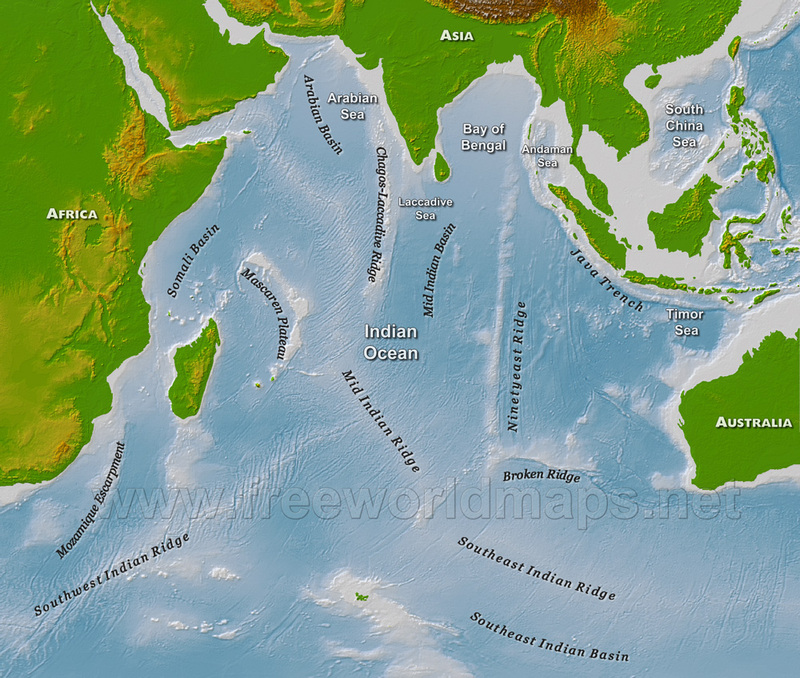 This natural coral barricade opens into two passages near the southern end of the ridge to allow safe navigation of vessels from one side of the Indian Ocean to the other through the territorial waters of Maldives. Rising from the depths of the Indian Ocean, the vast Chagos-Laccadive Ridge forms a terrestrial ecoregion together with the Lakshadweep. Of the 1,190 islands in the Maldives, only 200 are inhabited by local Maldivian people, nearly 100 islands have been developed as tourist resorts, and the remaining islands are uninhabited. The largest island of Maldives is Gan, which belongs to the Laamu Atoll or Hahdhummathi Maldives, and the westernmost islands in the Addu Atoll are connected by nine miles of roads that run over the reef. The atolls of the Maldives have been organized into 21 divisions for administrative purposes by the Maldivian government, and of the 26 geographical atolls, most of the resorts are in North Malé, South Malé, Ari, Felidhu, Baa and Lhaviyani Atolls. 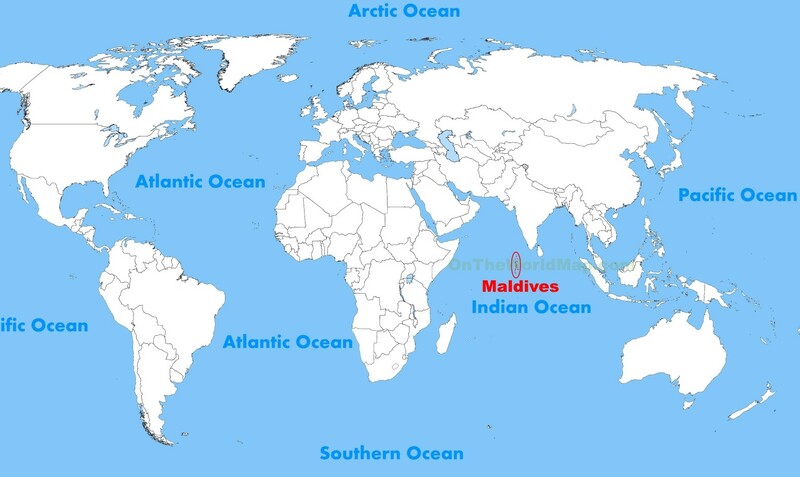 Lying between latitudes 1°S and 8°N, and longitudes 72°and 74°E, the Maldives is approximately 4 feet and 11 inches above sea level, with the highest natural point being seven feet and 10 inches, making it the world’s lowest country. While these ground elevation levels have been increased to several feet where construction exists, more than 80 percent of the country’s land is composed of coral islands which rise less than four feet above sea level. As a result, the Maldives are at extremely high risk of being submerged due to rising sea levels as a result of climate change. North Malé Atoll is the principle atoll of the Maldives and includes Malé, the island capital. 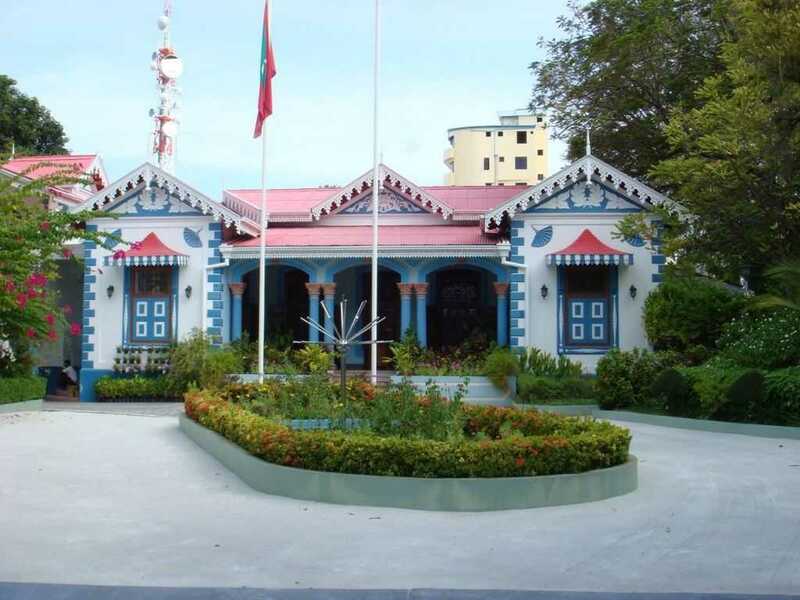 The administrative capital is the island of Thulusdhoo. North Malé Atoll, which includes Gaarfaru, is 69km long and 39km at its widest point. There are 50 islands in the North Malé Atoll and several small islets, and there are eight inhabited islands, counting the airport. Out of the 42 uninhabited islands, 27 are resorts, and most of the remaining 15 are privately leased with some buildings on them. 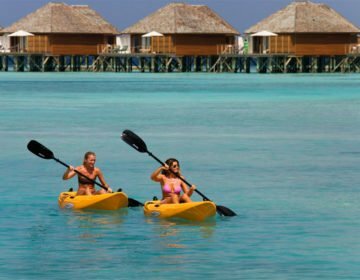 Many resort islands are close enough o the airport for transfers to be made by traditional dhonis, but those on more distant ones usually use speedboats and seaplanes to save time. Transfers to the more distant islands by engine Dhoni can take just over four hours. Malé has grown its physical limits of 192 hectares and has a registered population of 47,862, although the transient population may exceed 80,000. In 1922, the archeologist H.C.P. Bell noted Malé’s population was 5,200. The word Malé has been shortened from the Sanskrit word Maaliu, which means big or principle island. In later times, Malé was called Mahal, meaning palace island, as it has traditionally been the seat of power for kings. In The Story of Sigiri, historian Senate Paranavitana says the founder of the first ruling royal family was Taya-mall. He was the leader of a breakaway group of the Kalabhra people, who made their way to the Maldives from Madagascar in the 12th century. Taya-malla wed a princess from an ancient Sinhalese royal family that was exercising sovereignty in the Maldives at the time. When the Sinhalese king died, Taya-Malla received the sovereignty of the Maldives and became the founder of the Kalabhra dynasty. In 1153 AD, his grandson, Dhunei Kalaminjaa (Dhovimi) converted to Islam after ruling for 22 years as a Buddhist king. He adopted the title Sultan Muhammed-ul-Adil and ruled for a further 13 years before sailing to Mecca, never to return. Old Malé used to have an eight-foot-high wall with ten forts around three sides of the island. Only one fort was located in the center of the unwalled southern side, where water was too shallow for sailing craft. The forts were constructed during the reign of Sultan Shuja’I Muhammed Imad-ud-din I (1620-48 AD) after an attack on Malé in April 1632 by a flotilla of 15 Portuguese ships. The Armada. Led by Domingos Ferreyra Belliago aimed to capture Malé and insert Dom Felipe, the converted Christian Maldive prince in Goa, as the new king. The armada failed after the Sultan was notified in advance of its arrival. When the flotilla arrived, Malé was well fortified, and the only entrance to the island was stopped up with ships filled with stones. The old fort and bastions, which were of much interest to early travelers, were demolished in the 1960s during the rule of former President, Mr. Ibrahim Nassir. The remains, including cannons, were pushed into the sea and the land reclaimed for future development. Many guns were covered forever; others were left along the waterfront and on the reef. For years, dhaonis utilized these heavy cannons for mooring their boats in the harbor, but they have been gradually recovered and repositioned at points if interest in Malé. Two guns are on display at the President’s jetty. Nine cannons were recovered from the reef on the northeast side of Malé early in 1995 before reclamation work began. Malé also had more than 15 public bathing tanks located mostly near mosques, however, these were taken away to prevent the spread of malaria. One street on the eastern side, Henveru Kebu Ala Magu, now called Sosun Magu, was used for making anchor ropes, where twine made from coconut fiber was spun into a thick rope and laid out from one end of the street to the other. South Malé Atoll is 36km long and 19km wide and is made up of 30 islands of which three are inhabited, ten are uninhabited, and 17 are resorts. 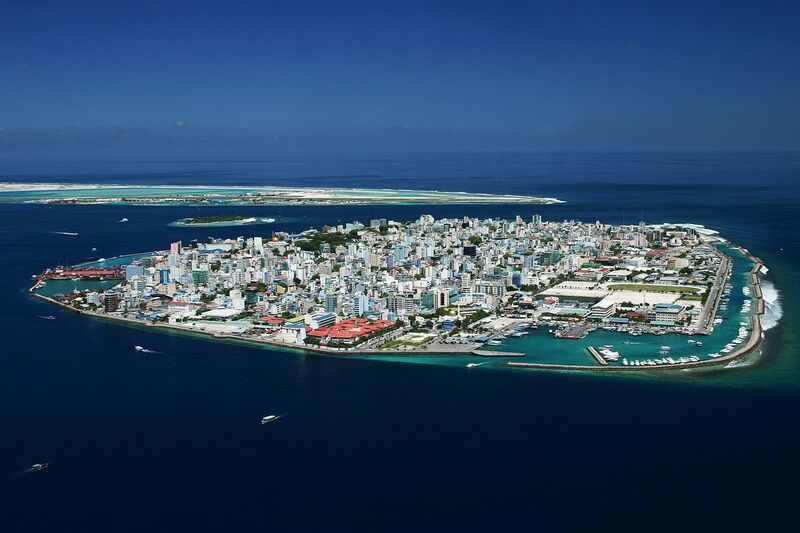 The capital of the atoll is Maafushi, and the atoll is separated from North Malé Atoll by the 4.5km wide Vaadhoo Kandu. Transfers from the airport t the resorts are mostly by speedboat, but some of the closer ones still use engine dhonis. Rough seas can sometimes be experienced in the Vaadhoo Kandu. For administrative purposes, Ari Atoll is divided into North Ari Atoll (Alifu Alifu), which includes Rasdhoo Atoll and the tiny atoll of Thodhoo, and South Ari Atoll (Alifu Dhaalu). The capital of North Ari Atoll is Rasdhoo, and South Ari Atoll is Mahibadhoo. There are a total of 70 islands in Ari Atoll and many sandbanks, some of which are becoming islands, while others are being washed away. Rasdhoo Atoll is nine kilometers in diameter, while Ari is 96 kilometers long and 33 kilometers wide. There are a total of 18 inhabited islands in Ari Atoll, and there are a further 52 uninhabited islands of which 26 are resorts. The principal occupation of Ari Atoll islanders used to be catching turtles, weaving sails, coral collecting, and coral carving, but they are good fisherman and are traditionally renowned for their shark catching to produce oil for the timbers of dhonis. Their shark catching traditions are still active and often at odds with divers who wish to keep the sharks in the water. Coconut production of the atoll is also high, and many islanders now turn to the resorts for employment. Resort development escalated in the early 1990s and has now peaked. No more resorts are expected to be constructed in the atoll. Ari Atoll, also called Alifu Atoll, is one of the natural atolls of the Maldives. Located in the west of the archipelago, it is one of the biggest atolls and spreads the islands over an area of about 89 by three kilometers in a rectangular alignment. Ari Atoll has been divided into two sections for administrative purposes, namely Northern Ari Atoll and Southern Ari Atoll, Alifu Dhaalu Atoll and consists of 105 islands. 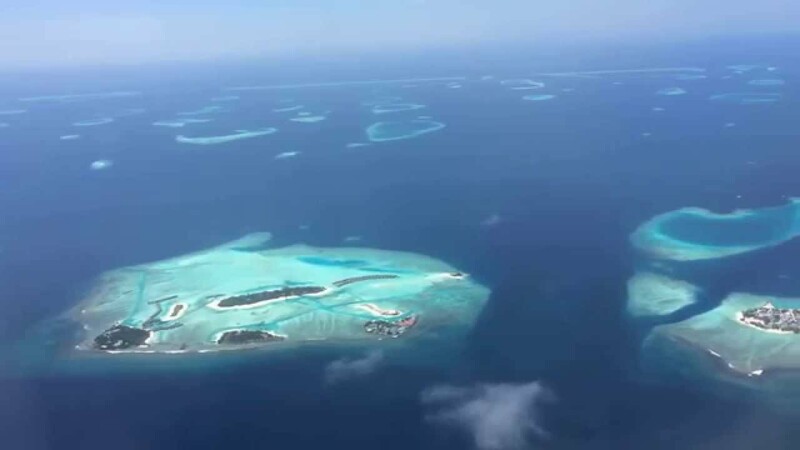 Felidhe Atoll is located on the eastern range of the Maldives archipelago and is separated from South Malé Atoll by the 14 kilometers wide Fulidhoo Kandu. Felidhe Atoll is 42 kilometers long and 55 kilometers wide and shaped like a boot with the toe being Fotteyo Muli, which is reef protruding from the northern tip of Fotteyo Falhu. Fotteyo Falhu is one long unbroken reef extending from Hurahu Kandu in the east to Rakeedhoo Dhekunu Kandu in the south. It is the longest reef in the Maldives, being 55km long. The island of Fotteyo-bodufushi lies within the falhu and is the most eastern island in the archipelago. Felidhe Atoll has five inhabited islands – Fulidhoo, Thinadhoo, Felidhoo, Keyodhoo, and Rakeedhoo. 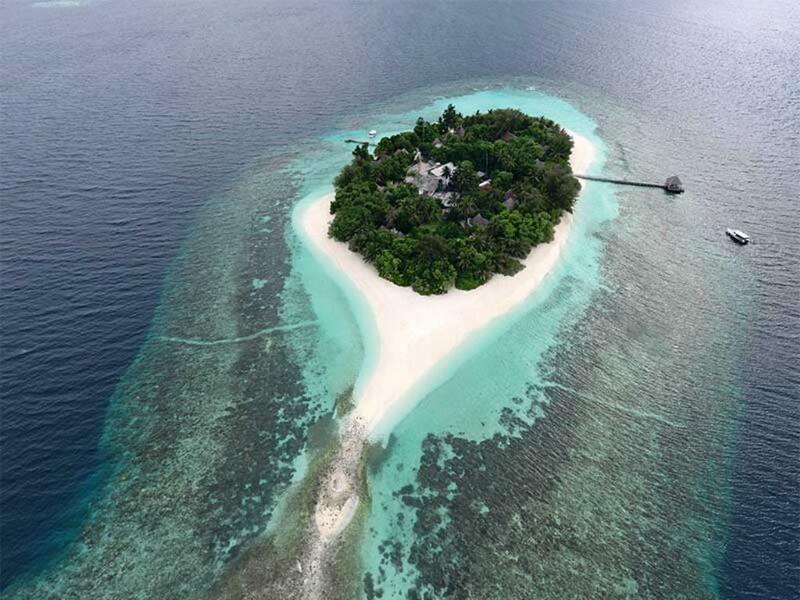 There are ten uninhabited islands of which two, Dhiggiri and Alimathaa, are resorts and there are several small islands with bushes. 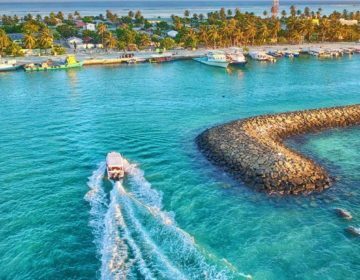 Vattaru Atoll is a small round shaped atoll nine kilometers wide that lies 4.5 kilometers to the south of Felidhe Atoll. It has only one small uninhabited island, Vattarurah, and one kandu, Vattaru Kandu, on the southern side of the atoll. This channel is now a Protected Marine Area and a popular diving location. Safari boats often include this location on the Felidhe diving itinerary as well as a picnic at the island. A further 4.5 kilometers south is Mulaku Atoll. Faadhippolhu Atoll is 37 kilometers wide and 35 kilometers long and lies 120 kilometers north of Malé. It takes about eight hours of sailing time from Malé to reach the atoll. There are four inhabited islands and 54 uninhabited islands, of which four are resorts. 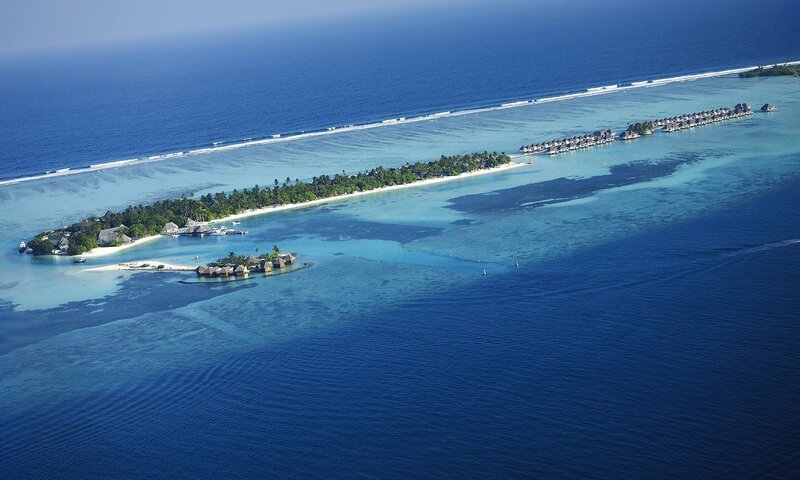 Another island, Hudhufushi resort is under construction, and Kanifushi is a proposed resort. The principal occupation of the island is fishing. Felivaru has a fish canning factory that employs workers from the nearby islands of Naifaru and Hinnavaru. Naifaru is a very populated island, and reclamation works are planned to offer more space for housing. Previously, sail weaving and coir-rope making were the primary occupations of the Islanders. The main entrance at the north of the atoll is the 500 meter-wide Kuredhdhoo Kanduolhi. The western side of the atoll is characterized by many small islands, reefs and narrow channels with the islands of Kanifushi projecting sharply to form the west point of the atoll. The main entrance to the atoll is between the southernmost island of Aligau and Maduvvari. The eastern side of the atoll has longer reefs with fewer openings, culminating in the 30 kilometer-long barrier reef between Selhlhifushiand Aligau. Addu Atoll lies just south of the equator and is the southernmost atoll in the Maldives archipelago. Gan Island is the most southern island at latitude 0˚ 42’S. There are four inhabited islands and around 20 small uninhabited islands and sandbars. 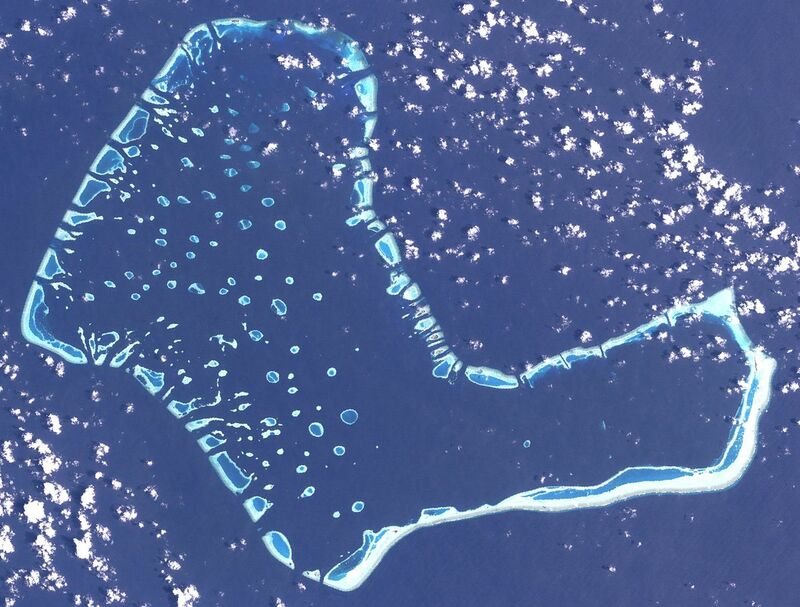 The atoll is heart-shaped and about 18 kilometers wide and 15 kilometers long. Most of the atoll is surrounded by islands. The islands on the western side, Gan, Feydhoo, Maradhoo, and Hithadhoo are connected by a causeway creating a formidable barrier to the rising and falling tides. At the causeway, water levels vary as much as half a meter on either side during the change of tide. Each island is densely covered in coconut trees, and the villages are clean and tidy. The island communities are small enough for incoming mail to be addressed to the houses only. The houses are mostly built of coral and have lush gardens with banana trees bursting with fruit. South Maalhosmadulu Atoll and Goidhoo Atoll, or Horsburgh Atoll, as it is called on some European charts, belong to the administrative atoll of Baa. Weaving and fishing are the principal occupations of the Islanders. South Maalhosmadulu Atoll is 42 kilometers long and 32 kilometers wide. There are ten inhabited islands and 41 uninhabited islands, Eydhafushi is the atoll capital. The atoll is separated from North Maalhosmadulu Atoll by a 3.2 kilometers wide channel, Hani Kandu, otherwise known as the Moresby Channel. A 1.8-kilometer wide channel, Kuda Kanduohli, cuts through South Maalhosmadulu Atoll from east to west. There are six resorts on the atoll. Soneva Fushi (Kunfunadhoo), Reethi Beach (Fonimagoodhoo), Valtur Kihaad (Kihaadhuffaru) and Coco Palm Dhunikolhu. Four Seasons Resort at Landaa Giraavaru is the most recent resort constructed in 2006. Olhugiri is the most southern island of South Maalhosmadulu Atoll and lies 13 kilometers north of Goidhoo Atoll. Goidhoo Atoll, or Horsburgh Atoll, is 8.5 kilometers long and 17.5 kilometers wide. It has three uninhabited islands and only one channel, Doru Kandu, in the south of the atoll. The atoll offers secure anchorage near the islands in the north-east monsoon. North Maalhossmadulu Atoll Islands or Raa Atoll is an administrative division of the Maldives, which includes Northern Maalhosmadulu Atoll and the island of Alifushi. The capital is Ungoofaaru, and the main tourist resort islands are Loama Maamigili and Meedhupparu. Formerly this atoll was off-limits for tourists, but since the late 1990s, there was a change in government policy. 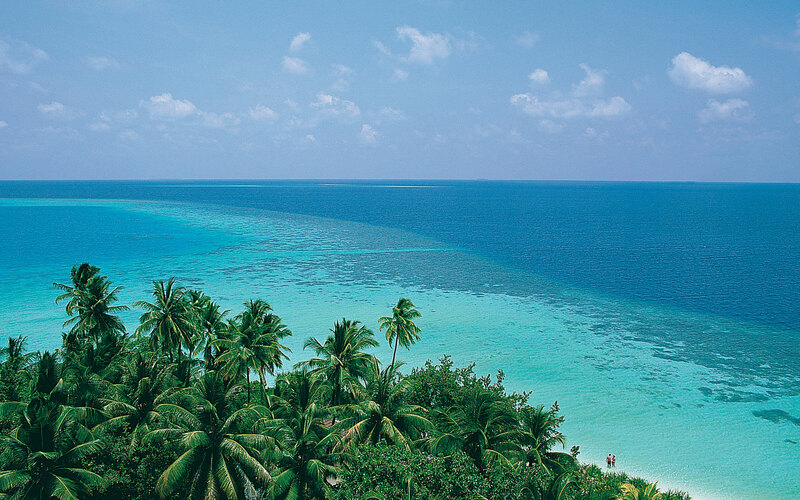 Carpe Diem Beach Resort and Spa is considered as the most luxurious resort in the Atoll. Mulaku Atoll is 48 kilometers long and 31 kilometers at its widest point. It consists of nine inhabited islands and around 30 small uninhabited islands. Muli is the atoll capital, and there are two resorts, Medhufushi Island Resort, and Hakuraa Club. 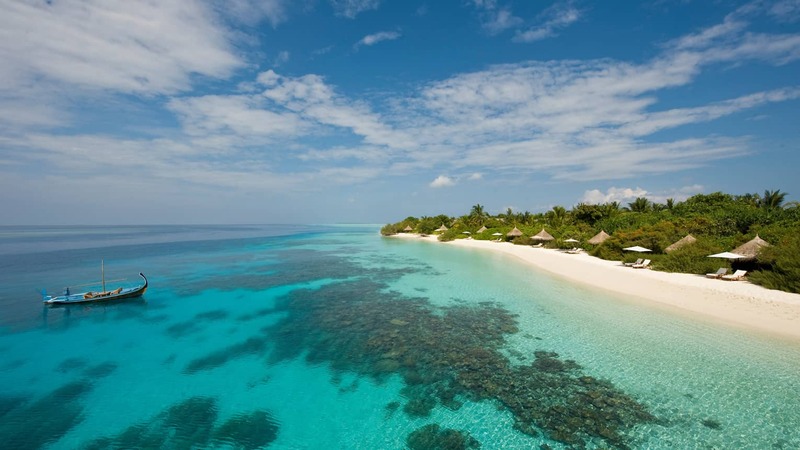 Another three resorts are proposed, namely Dhekunuboduveli, Gasveli, and Kudaufushi. All the islands lie on the outer reef of the atoll. The principal occupation of the inhabitants is cloth and rope weaving, fishing, some agriculture and employment at the two resorts. The atoll was significantly affected by the December 2004 Tsunami, and as a result, it is planned to reclaim land, fortify and build Muli into a tsunami-safe island for the region. There are numerous coral reefs inside the atoll and many openings in the barrier reef in the western side of the atoll. There is only one large opening for most of the eastern side. This opening is very shallow and is split into two channels, Mulee Kandu and Mullah Kandu. The northeastern reef of the atoll is 28 kilometers long, and the southeastern reef is 35 kilometers long. Combined, they form a significant barrier to the eastern side of the atoll. The southern reef is unique because the entire length is connected by a shallow and wide lagoon that allows transport and fishing between the islands in the traditional style craft specially designed for shallow water travel. These are small dhonis (bokkuras), canoes (kadubokkura), and rafts (kadufati).